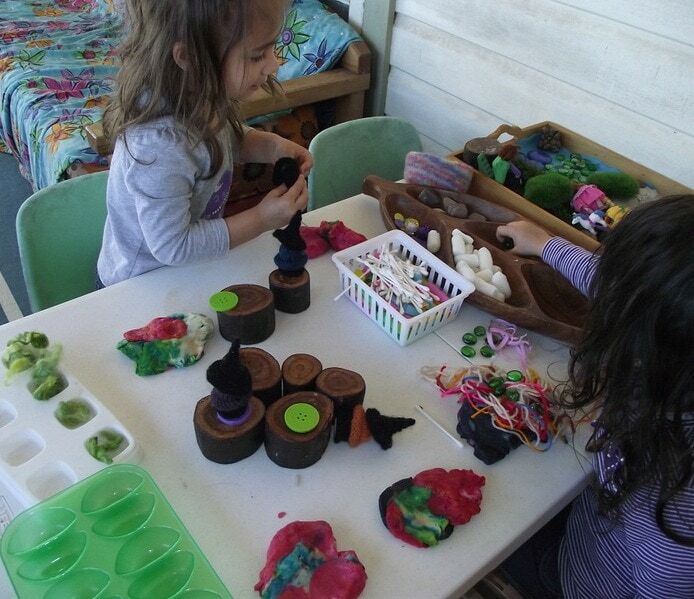 Playdough is a truly wonderful play based learning tool for children. 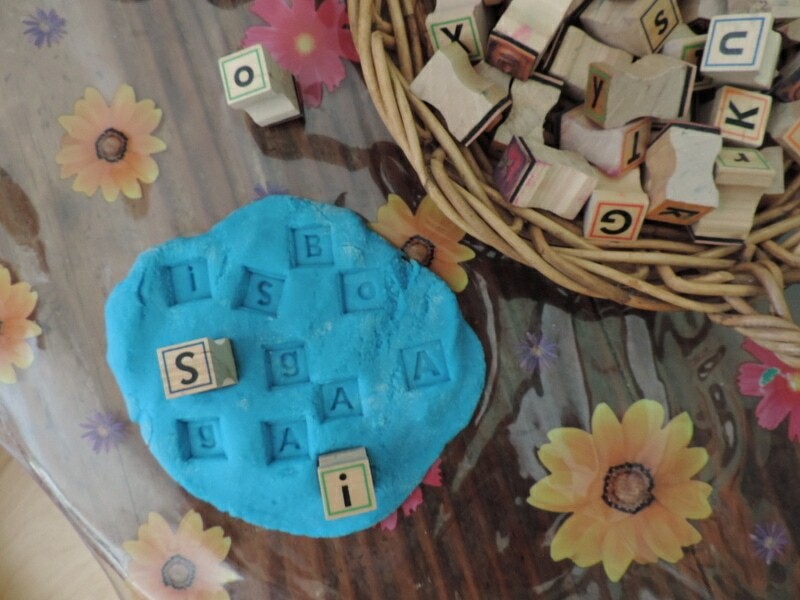 It can be used as a medium for strengthening fine motor skills and supporting colour , letter and number recognition as well as encouraging sensory exploration and investigation. 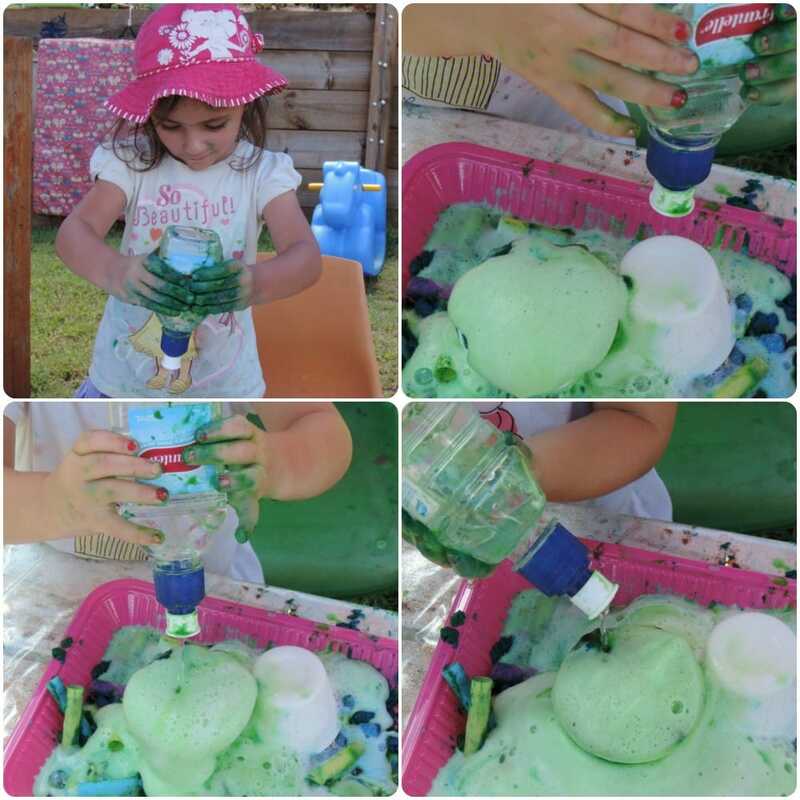 You can add colour or leave it plain, add different tools for children to find new ways of using and introduce other sensory materials including those from nature to take the play in a different direction. 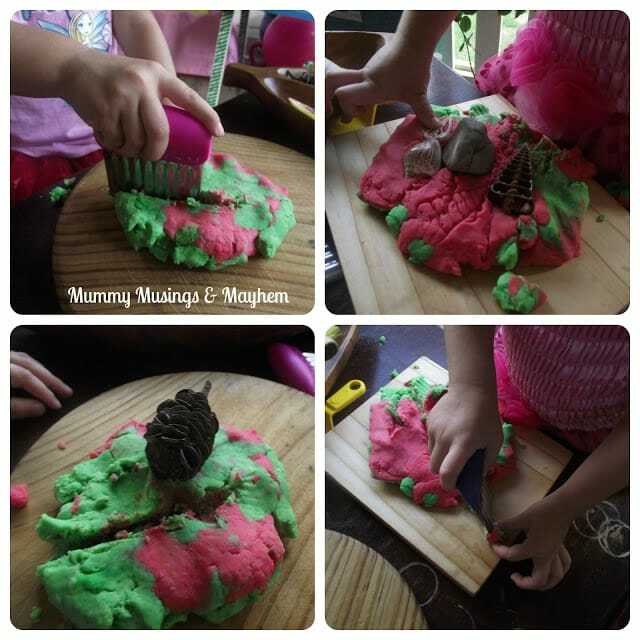 I use playdough with my own twins and also with my family day care children and love to encourage others to think outside the box and offer more than just a lump of playdough with the same cookie cutters each time. 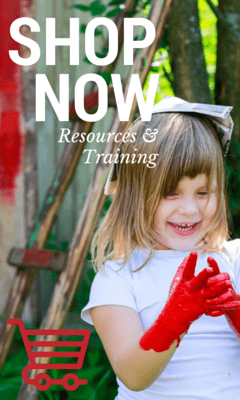 You will find the children remain engaged with the activity for a lot longer and it will provide many opportunities for you to do a little intentional teaching while they are having fun. 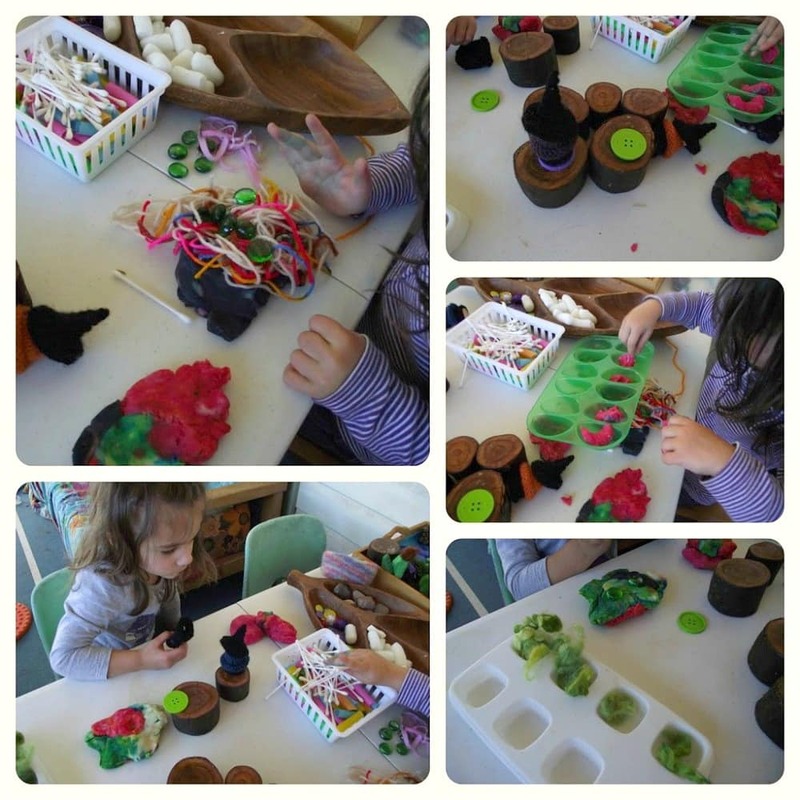 Today I am sharing just a few of the ways we like to use our playdough. I always make my own. 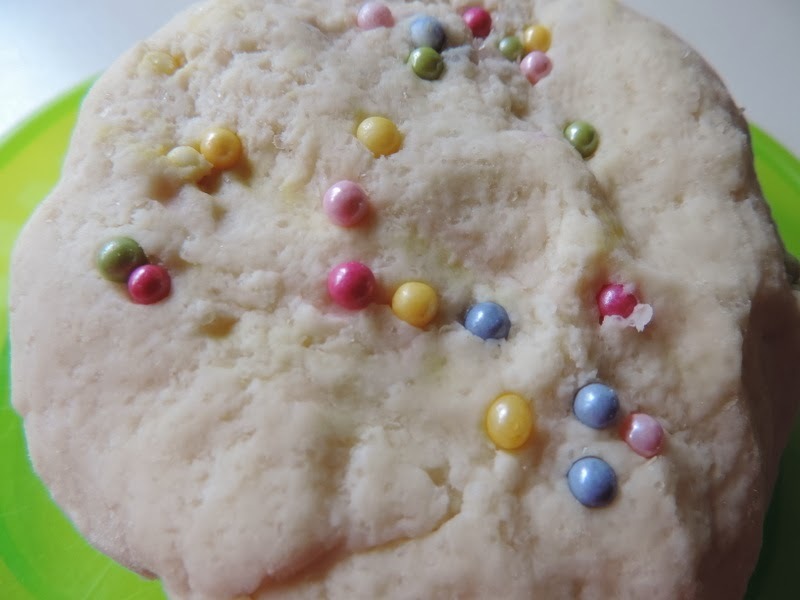 You can find my microwave recipe here or I particularly like this uncooked version from The Imagination Tree. 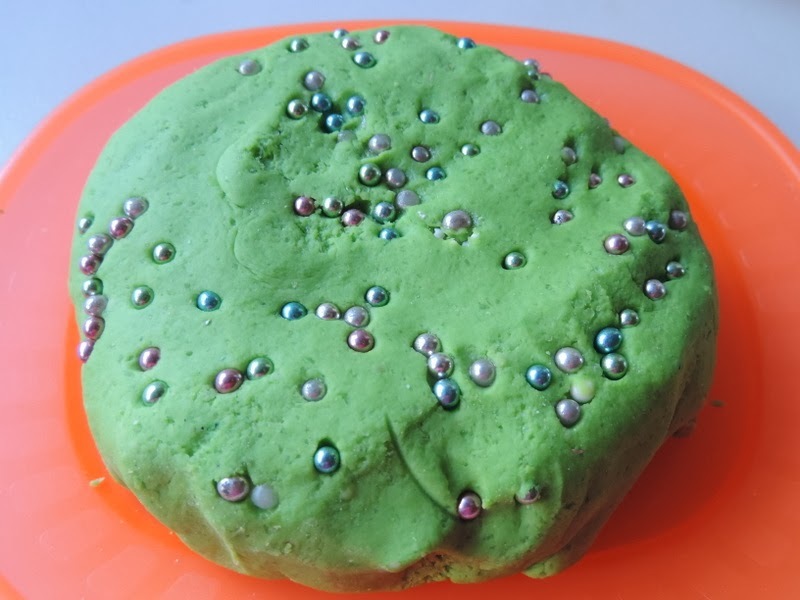 Both are quick and easy to make and don’t have that awful smell that the commercial playdough has. But if that is what you like to use than these ideas will still work for you too! 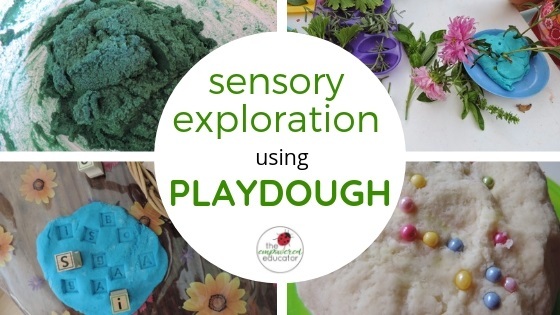 Adding sensory materials to dough allows children to explore and use their senses in different ways. Is it hard or soft? How does it feel when you squish and roll the dough? What else can we add that is hard/soft? What does it smell like? Can your fingers find something bumpy and smooth? 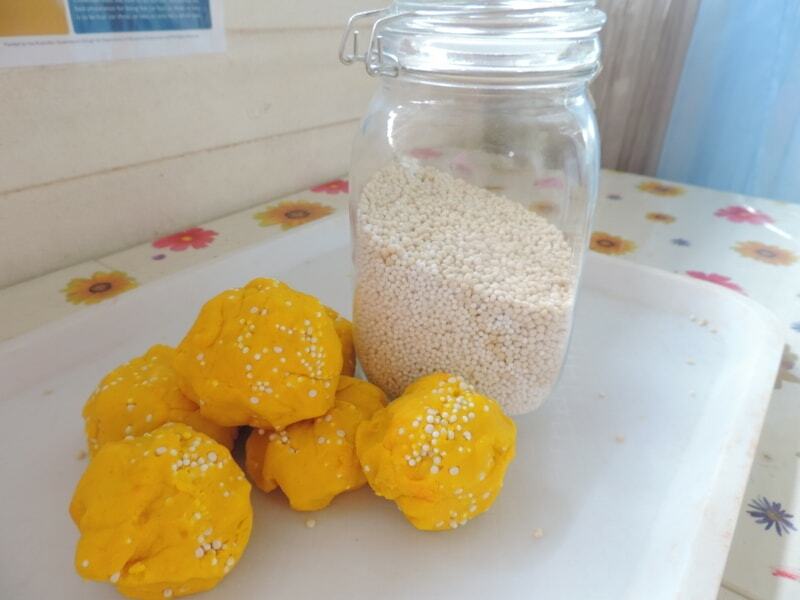 Sago (uncooked) added to the playdough was very popular here recently. 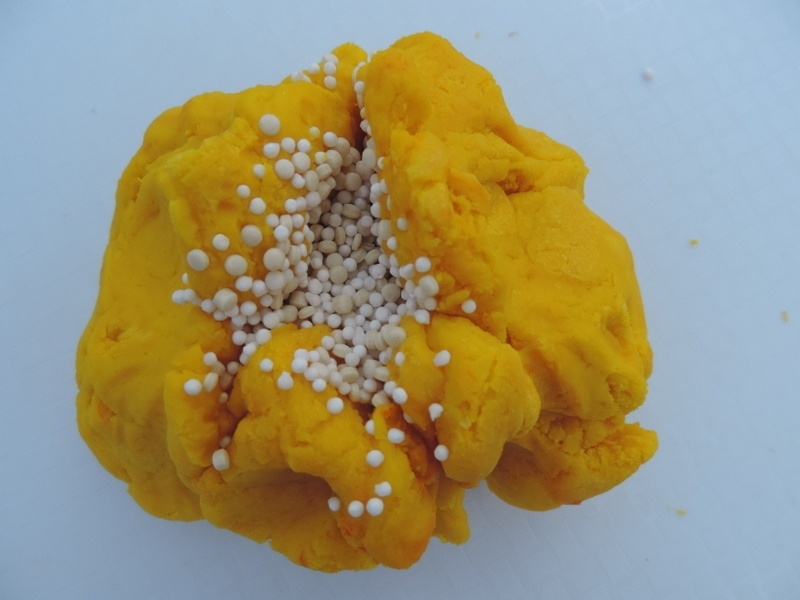 I have also used dry tapioca which are slightly bigger balls so it provided opportunities for discussion about big and small. Coloured cake decorating balls are quite hard and challenged little fingers to push and poke until they had them where they wanted them. A good workout for those hand and wrist muscles. After hiding the balls I joined in the play and asked the older children if they could find me “5 blue balls”, “2 red” ,”1 blue, 1 yellow and one red” etc. 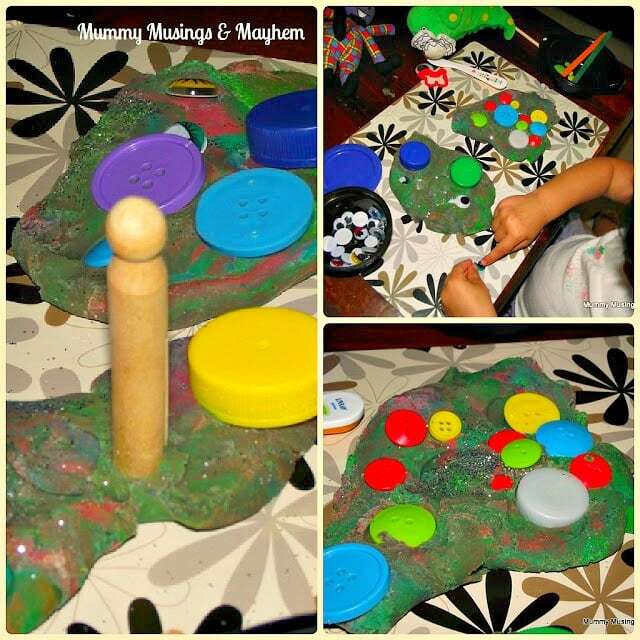 They really enjoyed this extra challenge and the toddlers were happy to just keep exploring with their hands, rolling and squishing and trying to find the colourful balls. 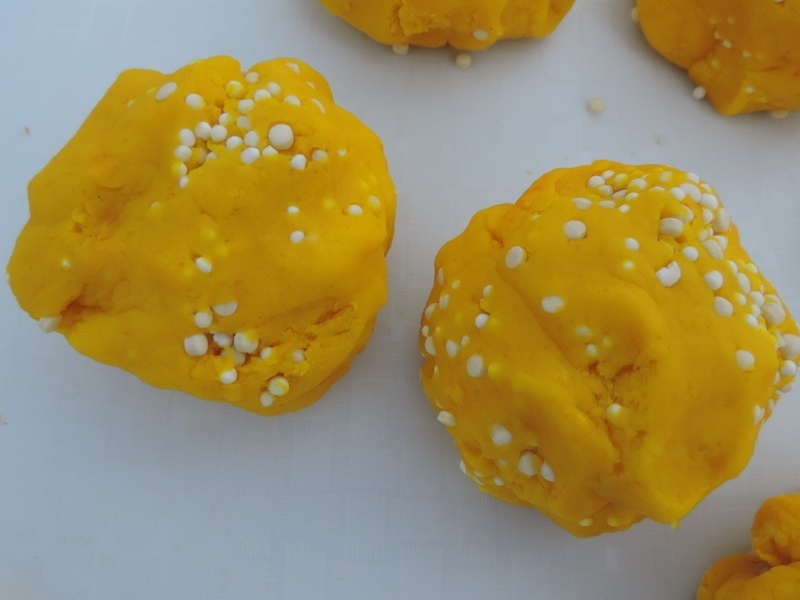 At Christmas time we coloured the dough with festive colours, some shiny ‘baubles’ and then cut out Christmas tree shapes to decorate with more balls. And then there is the power of smell. 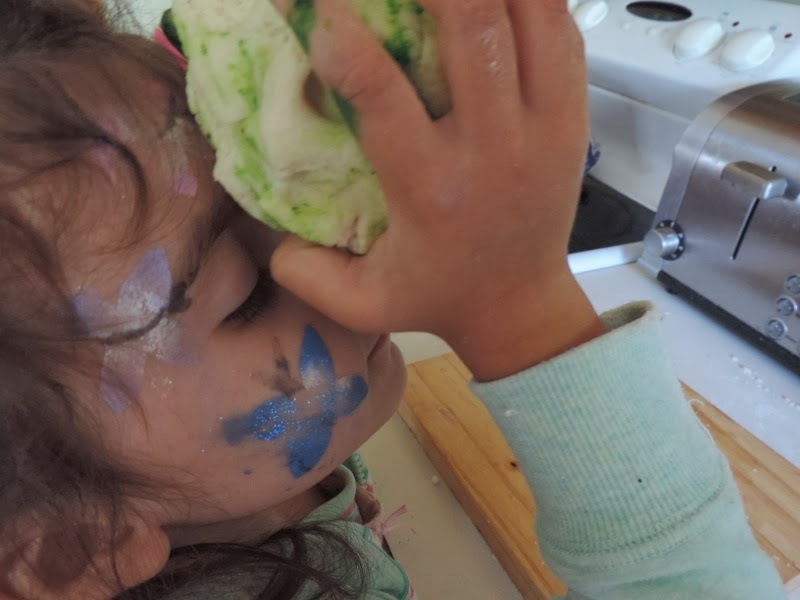 Ruby is a sensory seeker and loves to smell and feel the playdough on her face at times. This batch had a little lemon and eucalytpus essential oils kneaded through it as we were all suffering from colds and blocked noses that week. When adding scents be very sparing though, you only need a drop or two or you can easily overwhelm sensitive noses and it’s not great for those who still like to taste their playdough either! 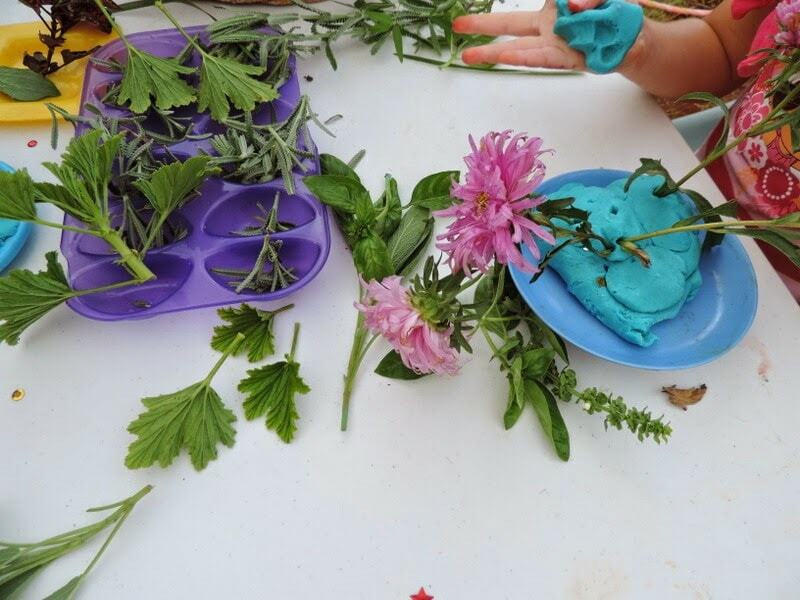 We have also picked lavender from the garden, crushed it with a mortar and pestle in our outdoor kitchen and then kneaded it through our playdough. A lovely experience but I gave up trying to find the photos sorry. I really need to sort and store my digital photos a little better obviously….one day. 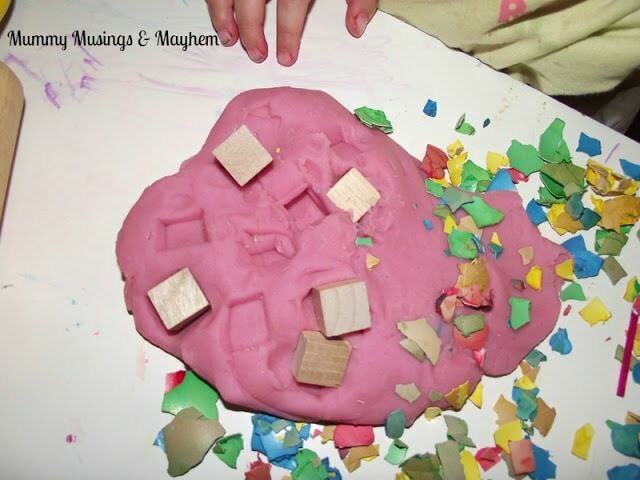 Use playdough as your base to extend upon. 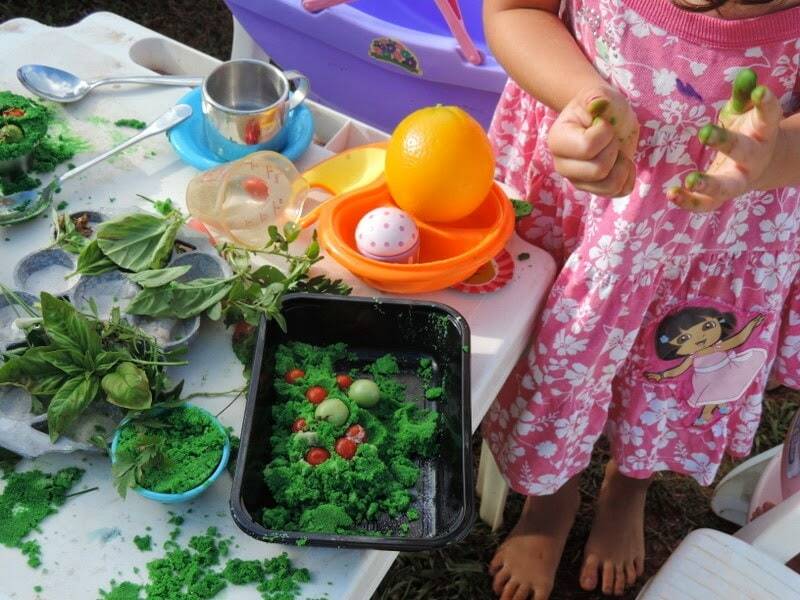 There are many ways you can introduce some simple learning concepts while the children are just having fun. 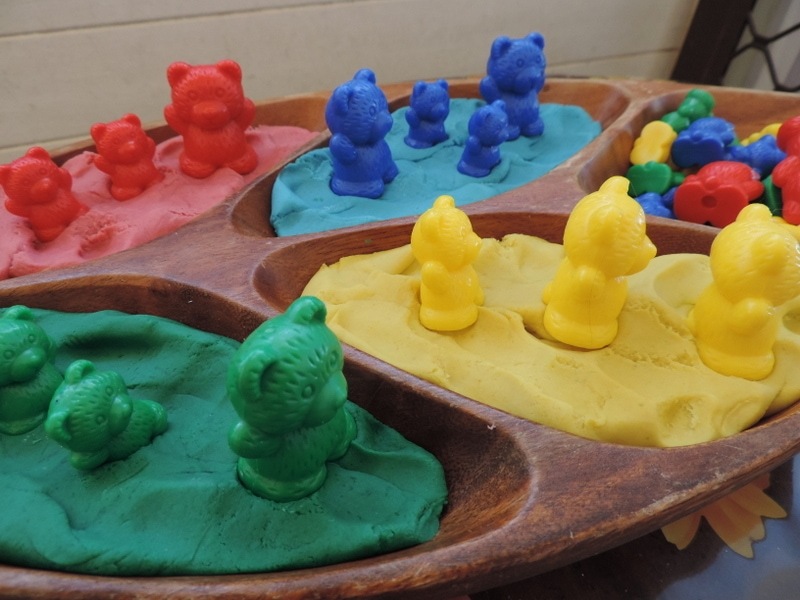 I used some coloured counting teddies and corresponding coloured dough in the activity below. We matched bears to colours, made different patterns and sequences, mixed colours to make other colours , counted out how many bears were stuck in each ‘mudhole’ and talked about big and small. 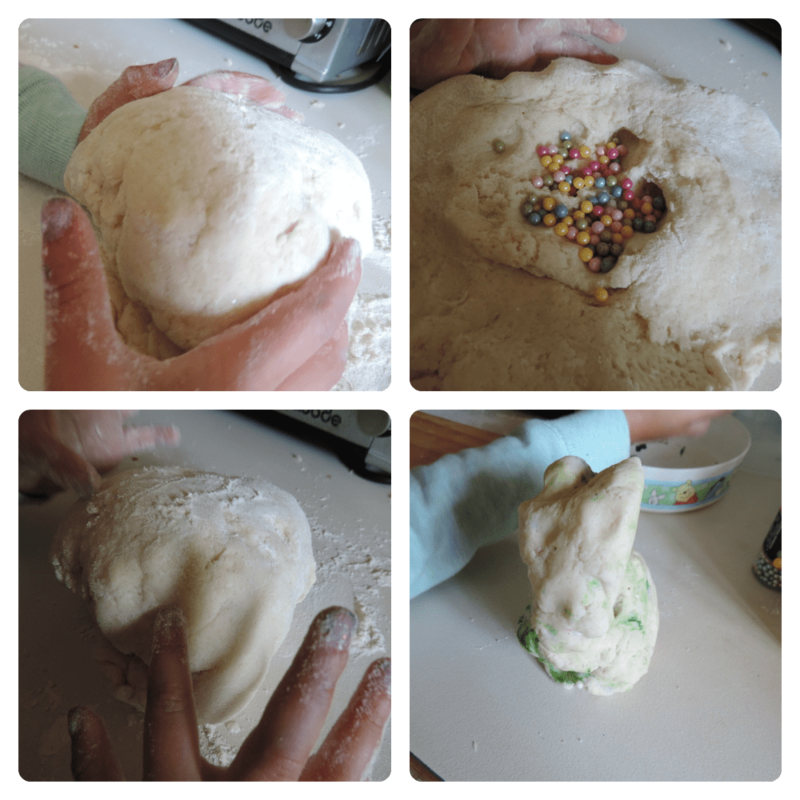 Using some letter stamps in the dough was fun for all ages but provided different challenges for each developmental stage. 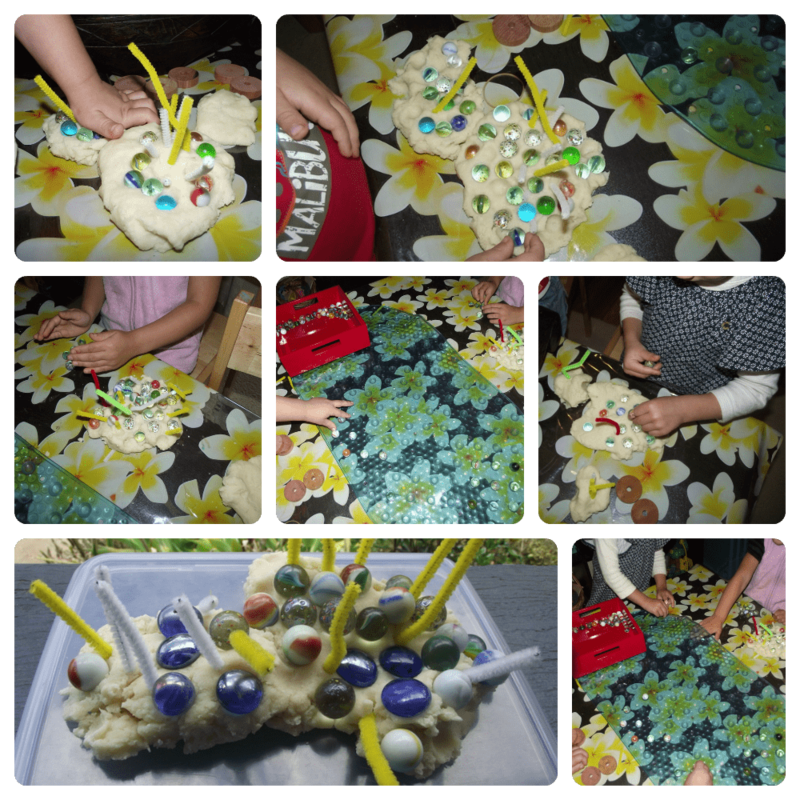 Toddlers practiced their pincer grip and picking things up from a pile before trying to push hard enough to imprint on the dough. The older children tried to find the first letter of their name to press into the dough. We looked for the upper case and lower case . 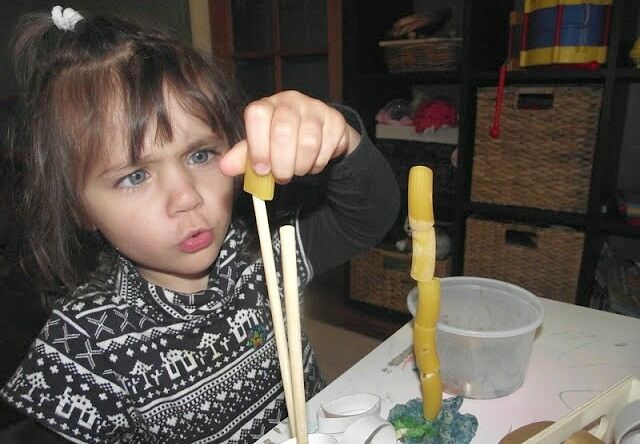 Challenge those problem solving, hand/eye coordination and fine motor skills by using some sticks pushed into playdough and then letting children attempt to thread different sized pices of pasta onto the sticks. 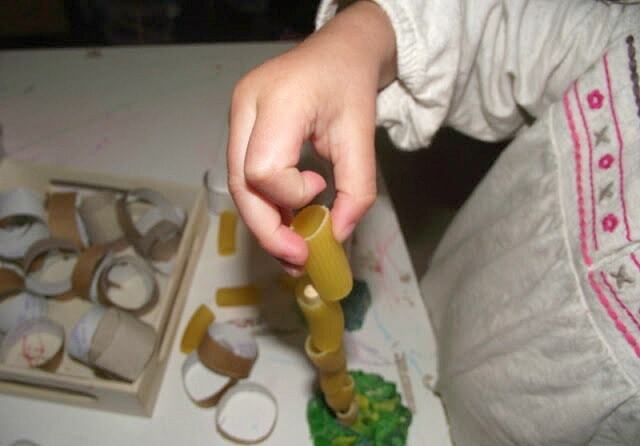 The playdough will hold the stick so the child can use both hands to coordinate if need be. Don’t you love the concentration? 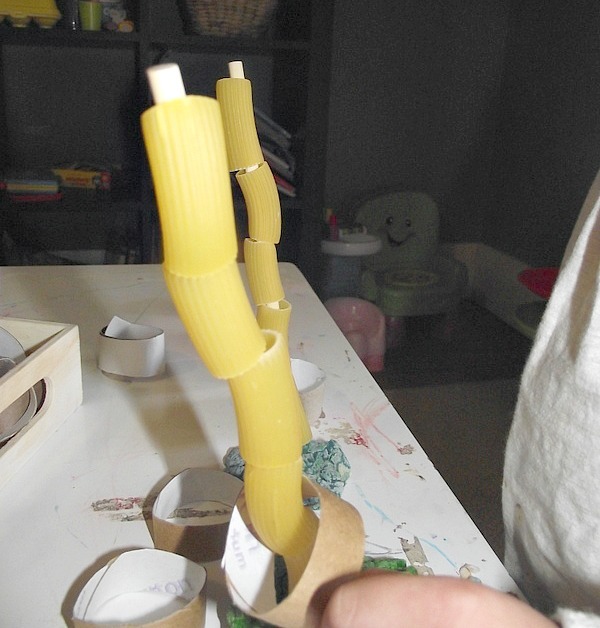 If you don’t have any suitable sticks or want to make it a little easier then why not use some dry spaghetti sticks! 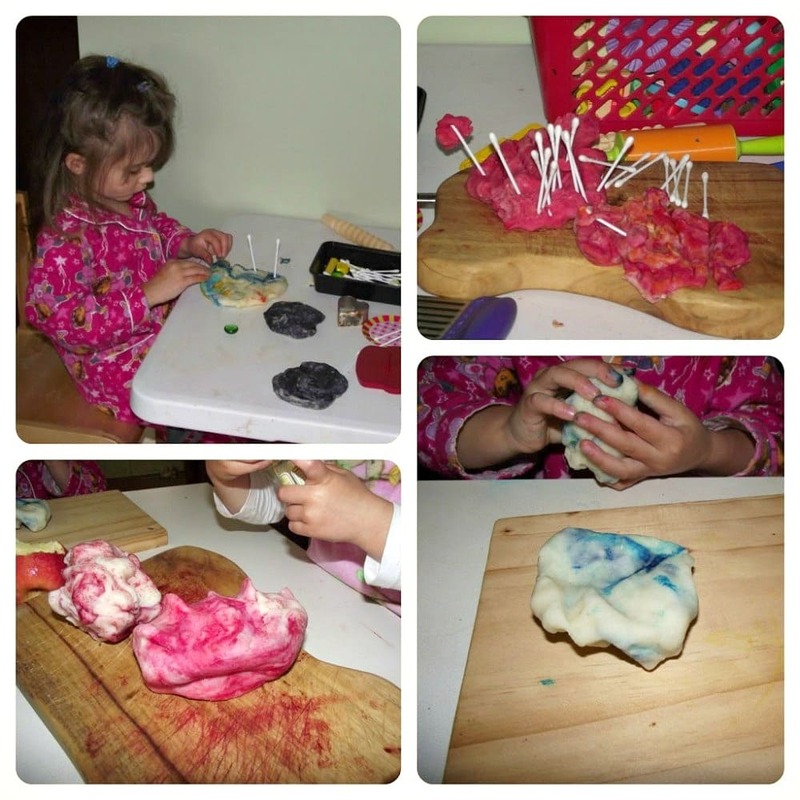 Making marble playdough is a fun way to introduce mixing colours and cause and effect. 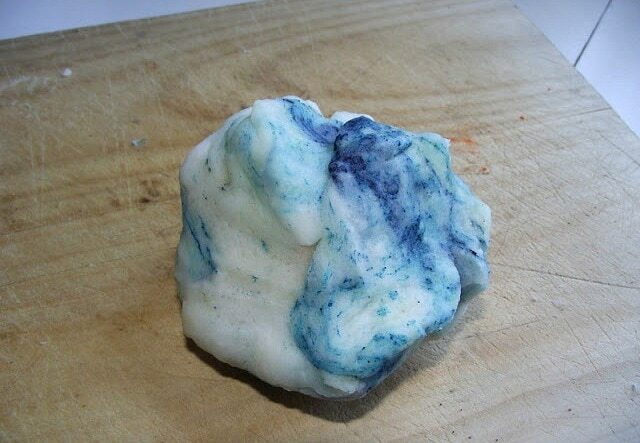 Simply make a batch of white playdough, add a little edicol powder dye to a dip in the middle and then fold over once. 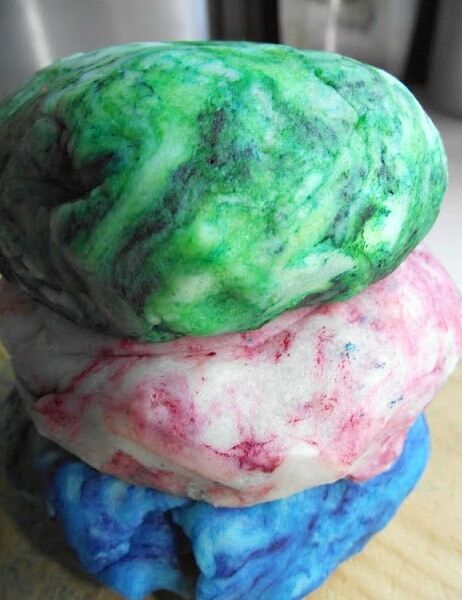 Ask the children to start squishing and rolling the dough, the harder they work the more colour they will see! 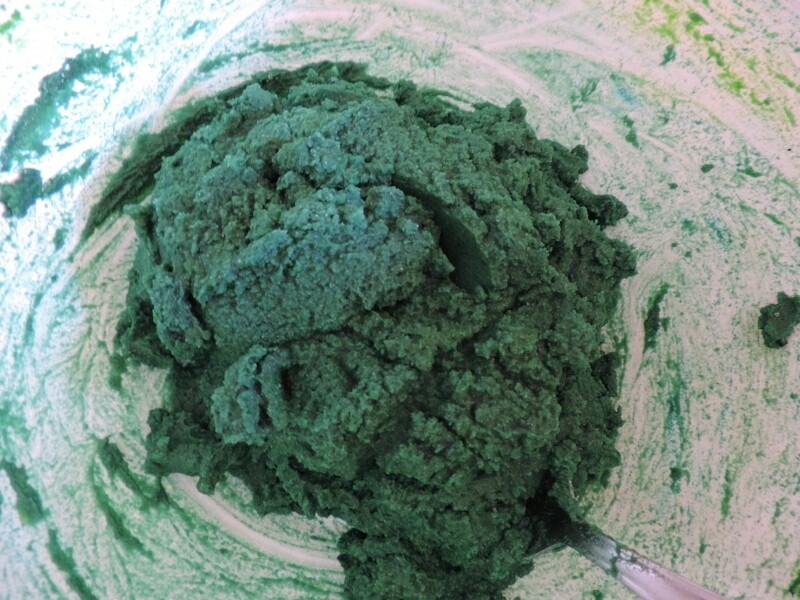 You end up with a lovely marbling effect…by the end of a weeks play it will be a solid colour. Edicol colour dye is quite strong so I like to do this activity on some wooden boards or make sure your surface is covered in vinyl. 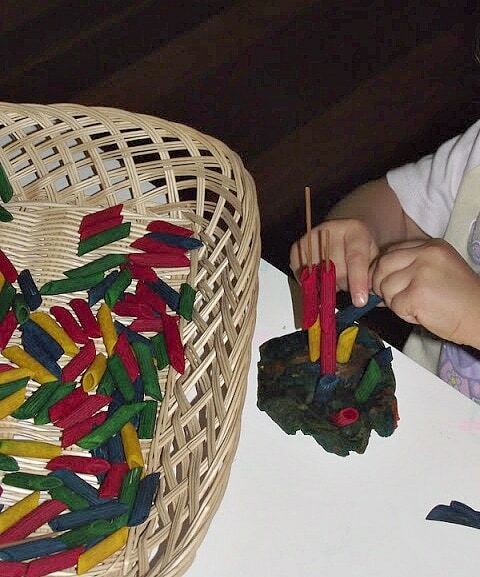 Have you tried using cotton buds (Qtips) in your playdough? They make some amazing creations with these! 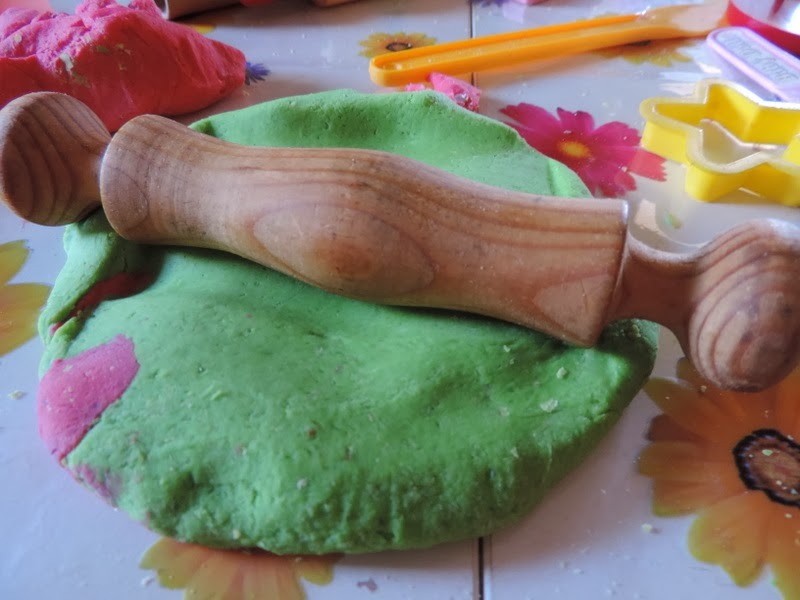 You can make different types of dough just by using a few different but common materials….and then encourage the children to experiment and investigate…. 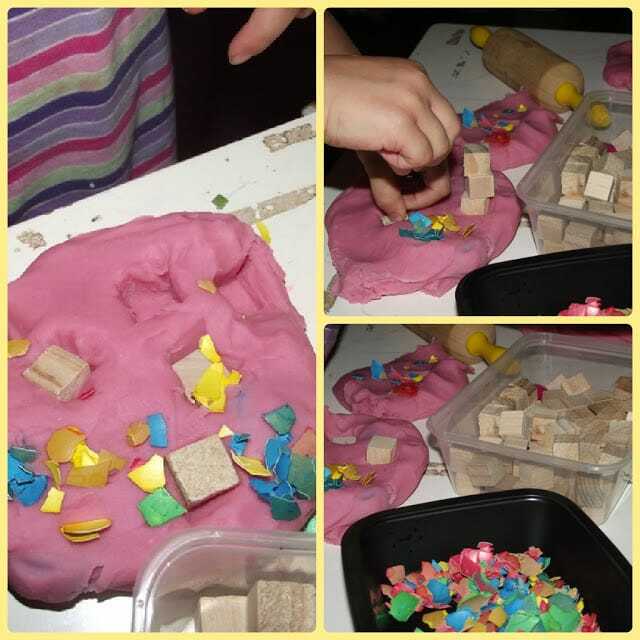 Explore shapes using different objects to imprint with…. 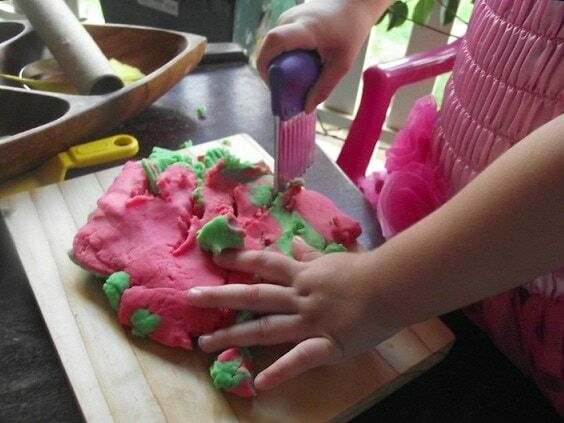 Playdough also makes an easy medium to practice those cutting, slicing and snipping skills. Our crinkle cutters are a favourite as are the scissors. Can you cut some small pieces? What about some big pieces? Can we roll a sausage and use our scissors to snip some pieces? 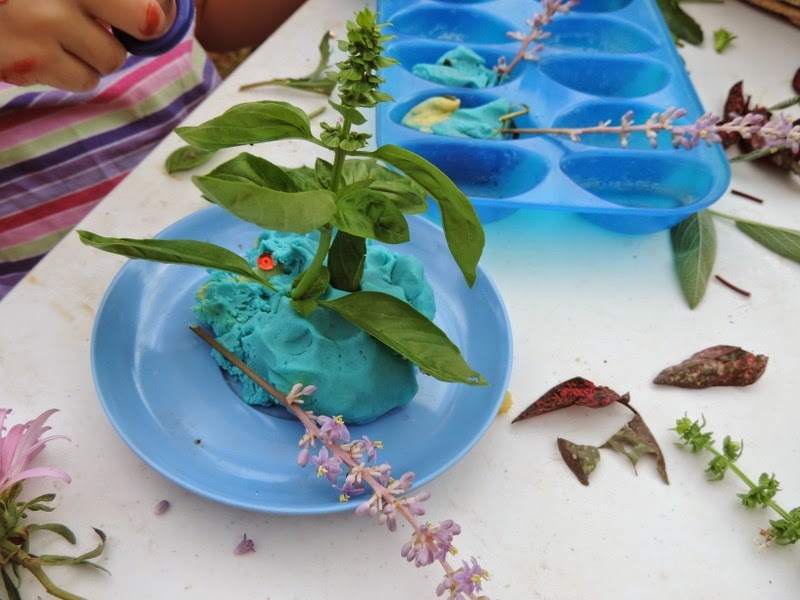 Loose parts go together so well with playdough and provide so many opportunities for children to explore role play and use their imaginations. 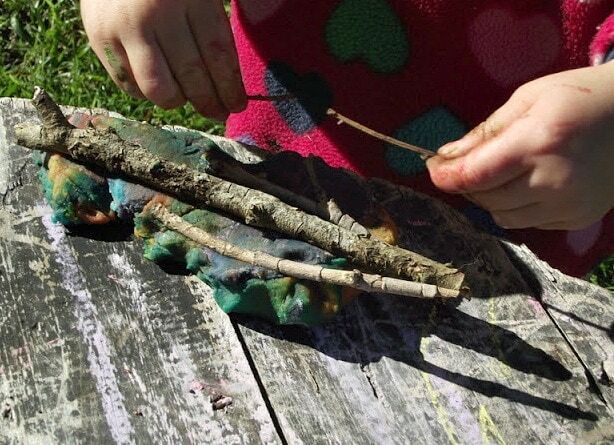 It also gives them the chance to express themselves creatively and make patterns, stories and just plain magical creations that we could never come up with ourselves! 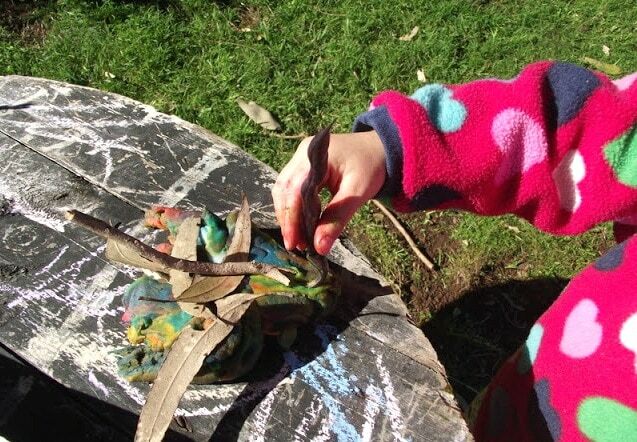 Don’t forget to include the wonder of the natural environment sometimes when using playdough. We have used pickings from the vegetable patch, sticks and twigs, leaves, gumnuts, flowers and so much more. 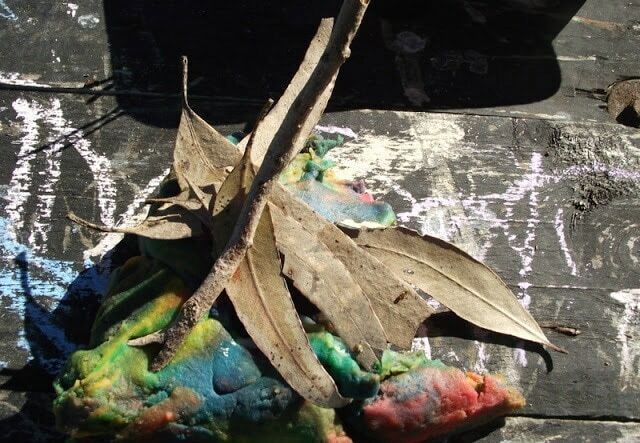 It really does make an interesting base material for children to work with. 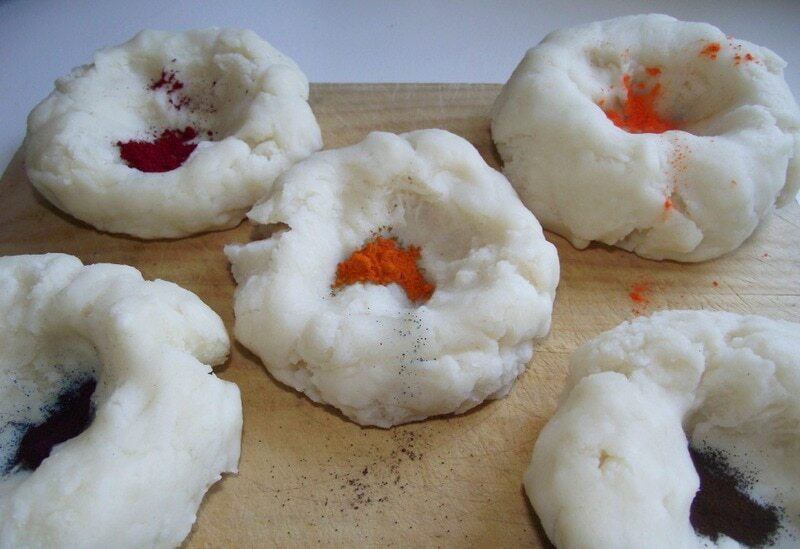 I bet you want to go and make a fresh batch of playdough right now don’t you? 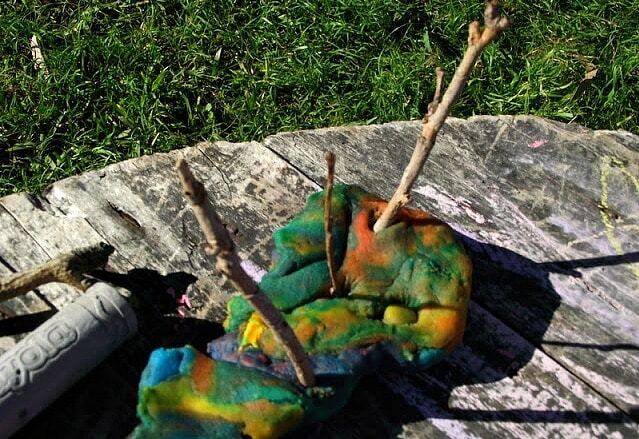 Hopefully you are feeling inspired to step outside the playdough rut a little and go have some fun. 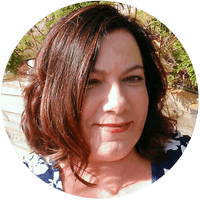 If you would like more sensory play activities why not join my free Empowered Educator Facebook Community. 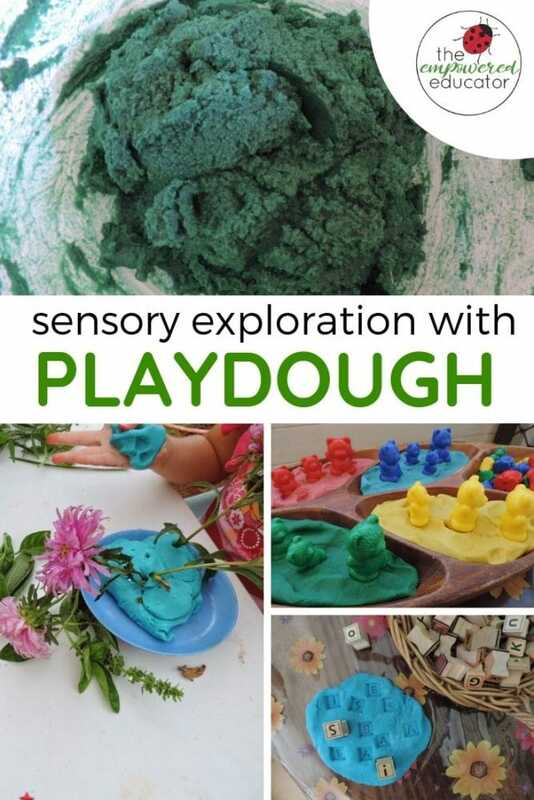 Very inspiring with your playdough activities. I have a question. 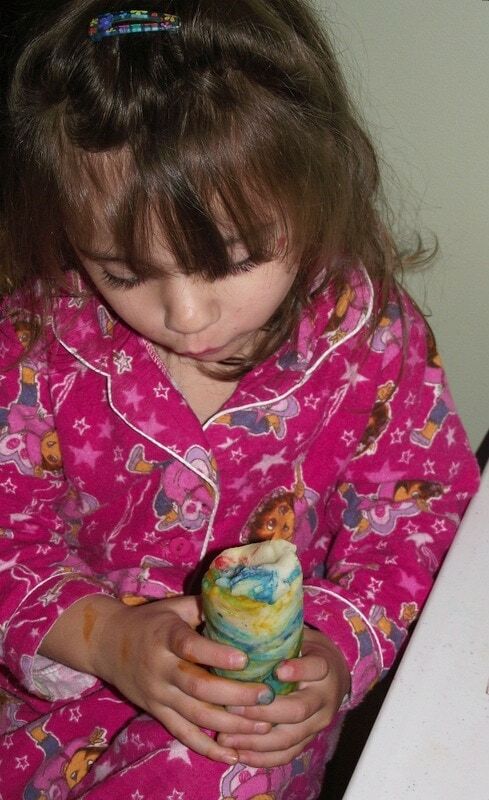 How oftern do you make new playdough? 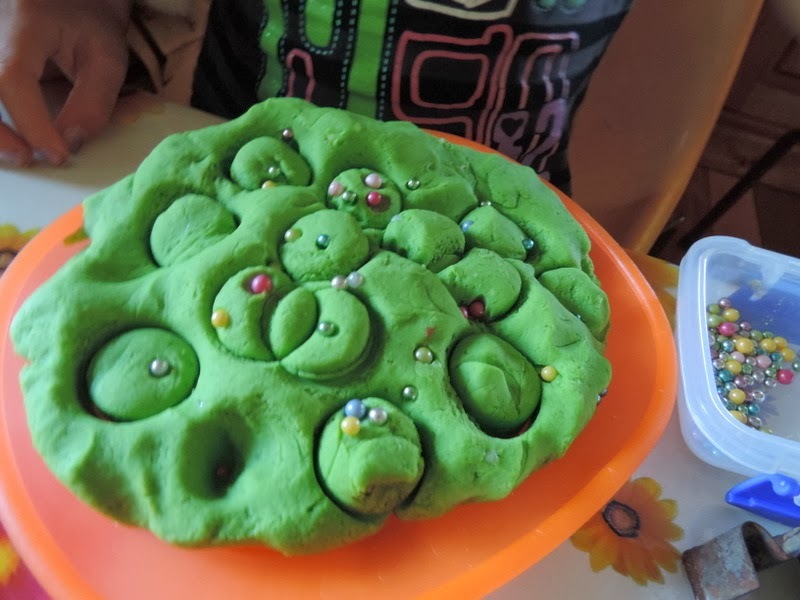 Thanks Sareni, It really depends on the number of children in care and if any are sick, colds etc and what materials we have been using during the week with the playdough but as a general rule I make a fresh batch at the beginning of each week and use the older dough outside as it begins to crumble.